A recent trip to my local vintage shop turned up all kinds of Christmas treasures, including this pretty teacup. 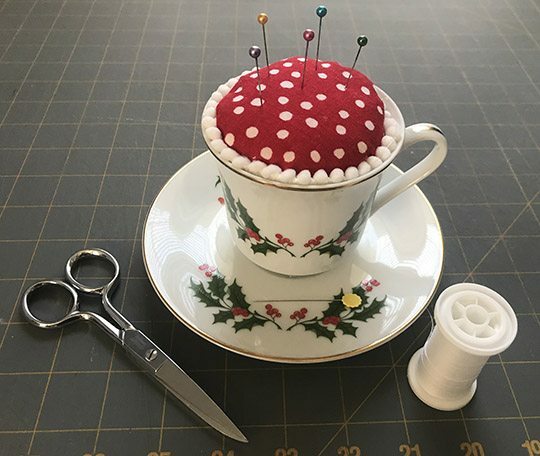 It’s far too small for my daily coffee habit, but it made a lovely little pincushion. 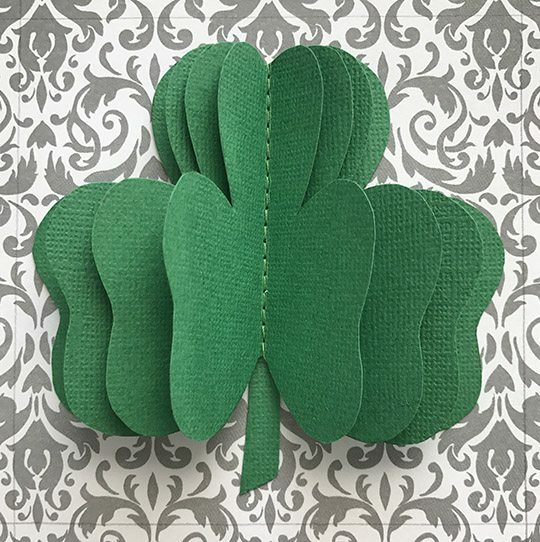 This was so quick and easy to put together, and the same basic directions apply for any small bowl, cup or even a flowerpot. 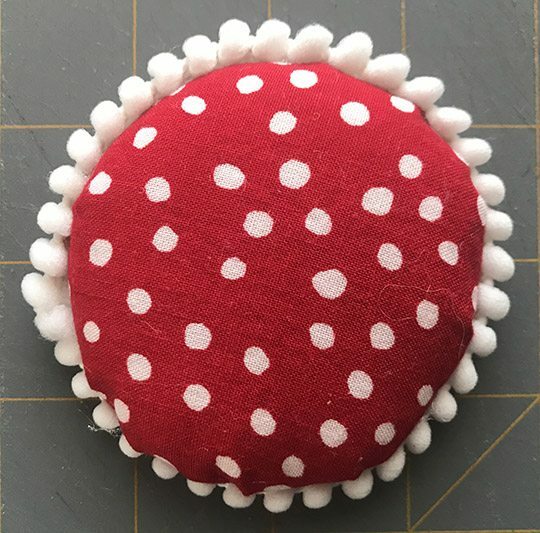 To make a pincushion, you need the container of your choice, a glue gun, and scrap pieces of fabric, quilt batting, heavy cardboard and any trim you’d like to use. Cut a cardboard circle to fit down inside your container about 1/2″ below the rim. 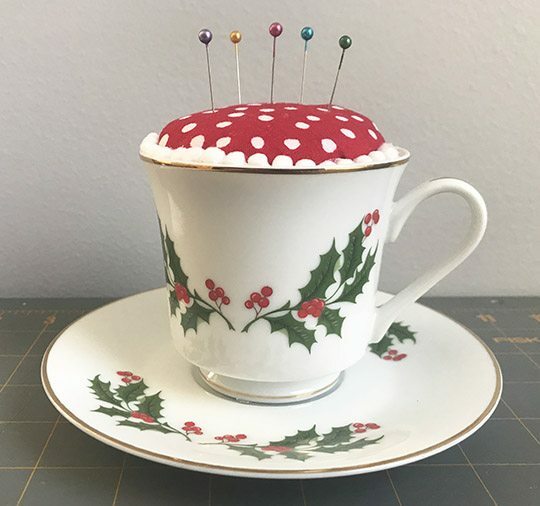 The cardboard will give your pincushion some shape and keep needles from working their way through the batting. 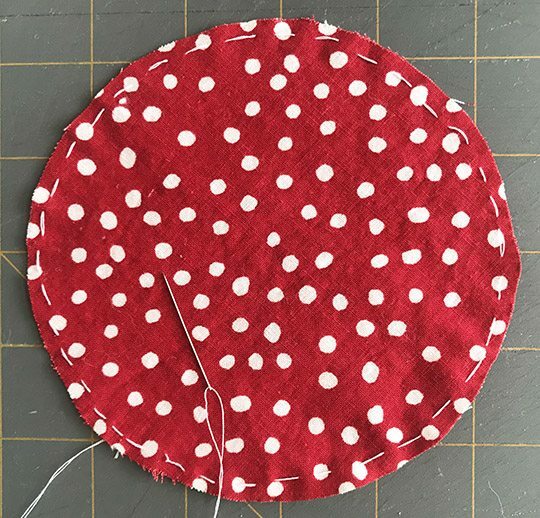 Cut a circle from the fabric, about twice as big as the cardboard circle. 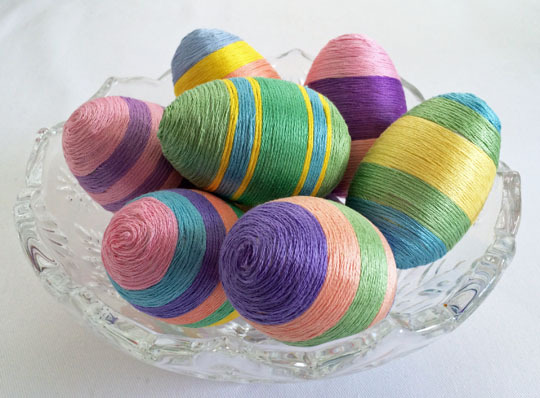 Using a hand needle and strong thread, run a loose stitch around the edge of the fabric. Don’t cut the thread. Cut several circles from the quilt batting. I used six – four the same size as the cardboard circle, and two slightly larger. 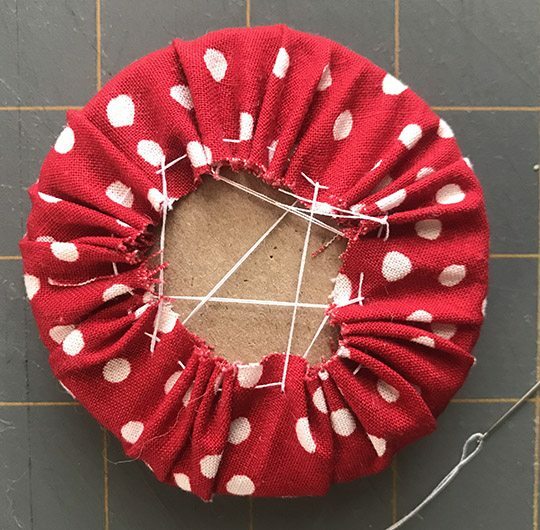 Lay the fabric circle on your work surface, right side down. 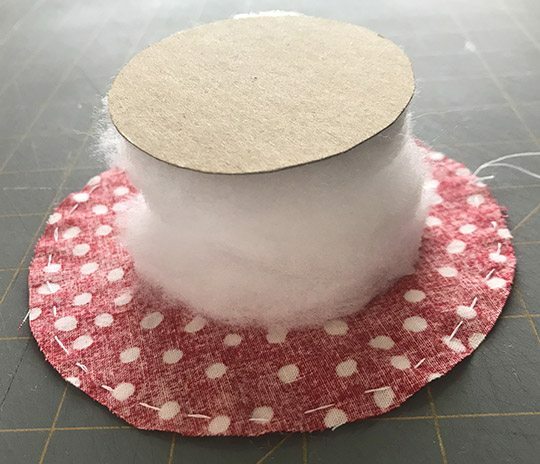 Layer your larger batting circles, the smaller circles, and then the cardboard circle on top. 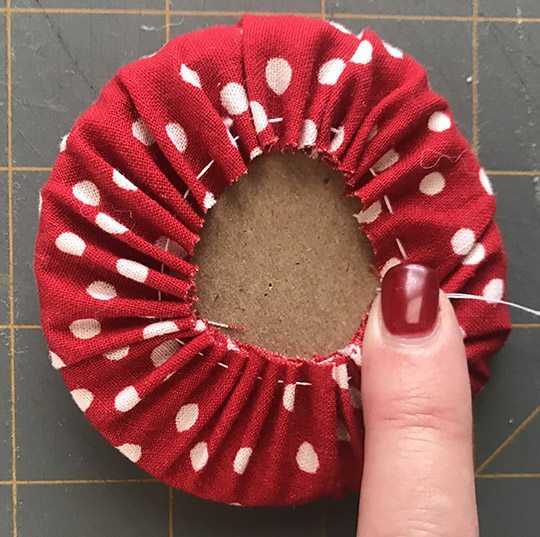 Draw up the gathering thread to pull the fabric tight around the cardboard and batting. Take a few stitches back and forth to secure the fabric in place. Knot off and trim the thread. If you’d like to use trim, glue it around the edge of the cushion. Run a bead of glue around the cushion and set it down into the container. 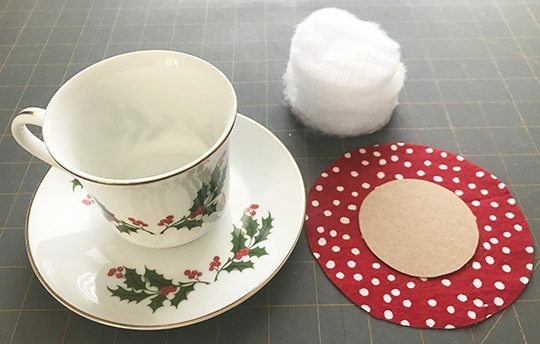 If you’re using a cup and saucer, glue cup to the saucer to keep it from tipping over when you’re using it. All done! The Great Craft Room Reveal – It’s Finally Done! That is such a cute idea, I am going to try it.